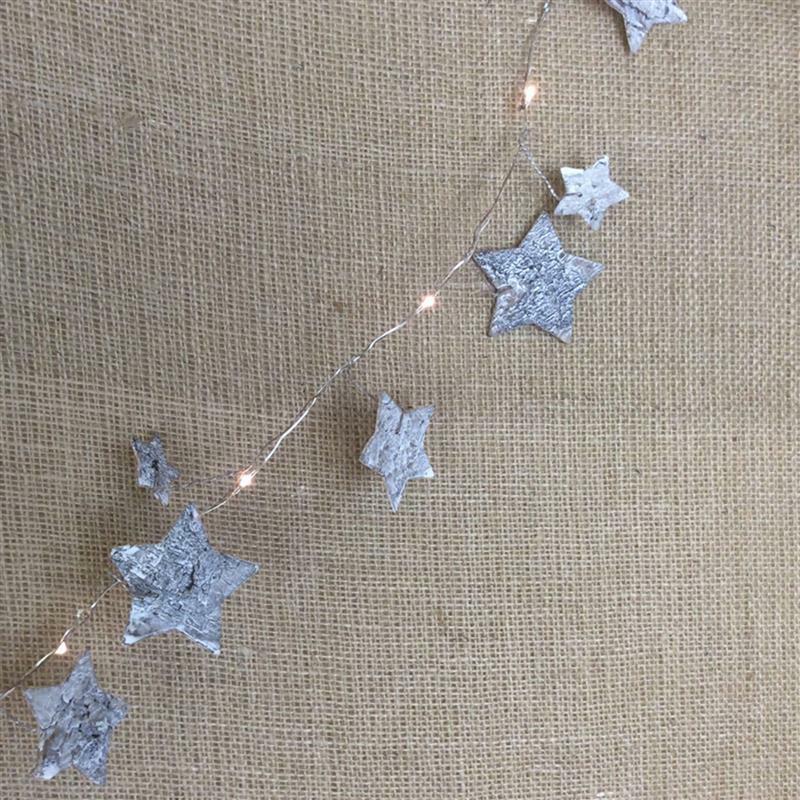 Bark Star Christmas Garland - Silver. This delicate Christmas garland is decorated with a silver birch bark stars and 20 micro LED lights. Measures 190cm.